Paradise Air Inc is proud to serve the Little Elm community! About Little Elm, TX - Happy to be your hometown Heating & Air Conditioning Contractor! 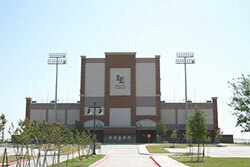 The Town of Little Elm is located in Denton County, Texas, and this community has expanded greatly since 2000. In 2000, the population was a mere 3,600, but as of the 2010 census it had jumped to nearly 26,000 residents. This city is known for its small town charm while being located along the shores of Lewisville Lake. It is also a great place to work due to its convenient access to the DFW Metroplex via the Dallas North Tollway and Eldorado Parkway. Little Elm is part of a humid subtropical climate zone, and because it is also in the Sun Belt and part of the blackland prairies, summers are quite hot and humid. Winters are rainy and mild with occasional snow. Despite the small size of Little Elm, there are a few area attractions located within the city limits. Outdoor recreation is important to Little Elm residents so there are numerous parks located here, including Marion Field, Cottonwood Park, and Little Elm Park. Lewisville Lake is also popular for fishing, boating, and other water sports. Larger attractions are located in nearby communities, including the CrossRoads Winery and Dr Pepper Arena in neighboring Frisco and the Tribute Golf Club in The Colony.